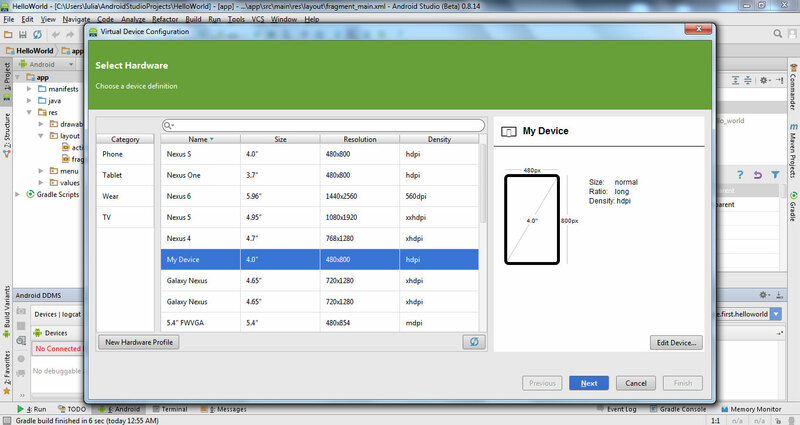 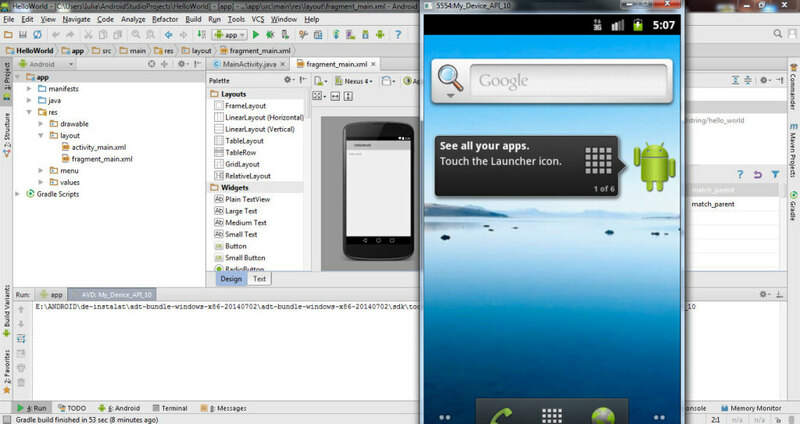 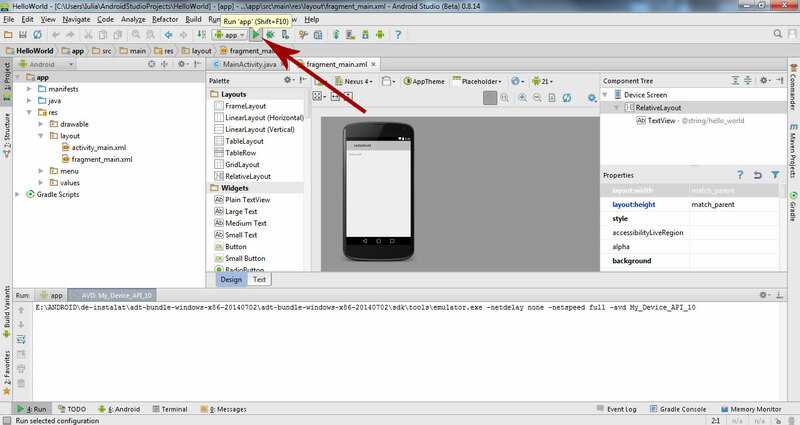 Tutorial about how to create your Emulator (Android Virtual Device) or virtual mobile in Android Studio. 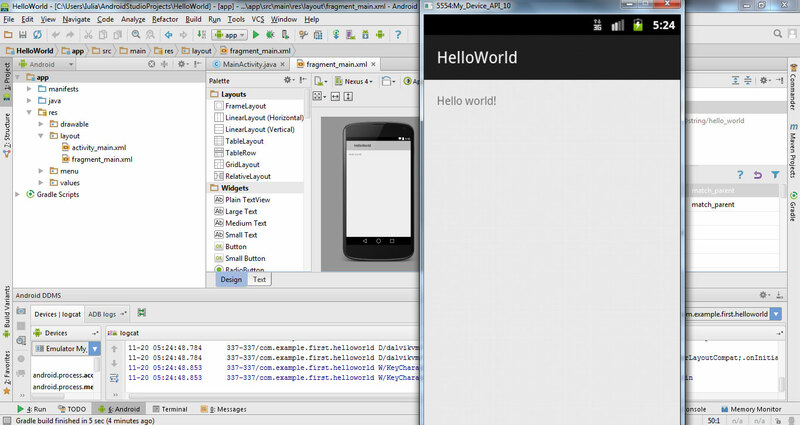 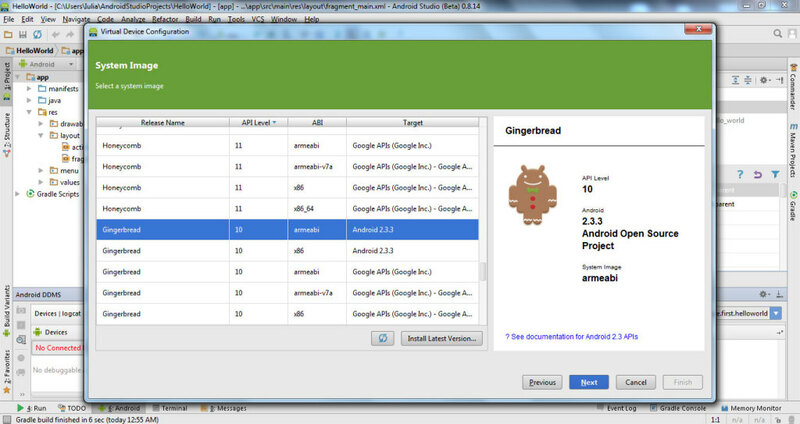 We open in Android Studio the project “Hello World” created in last tutorial. Click on AVD Manager icon. 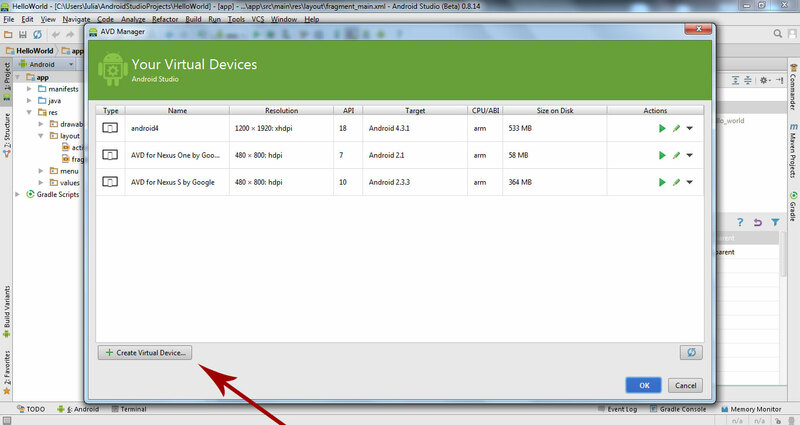 Next click on Create Virtual Device. In next window we choose New Hardware Profile. 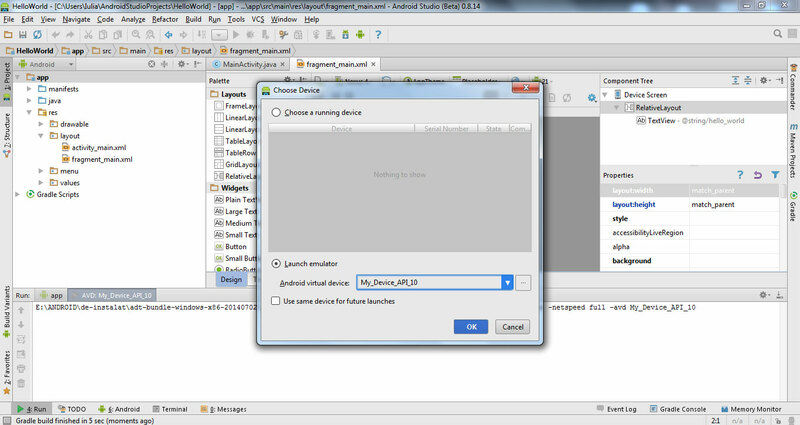 In next window write on Device Name: My Device and click on finish. 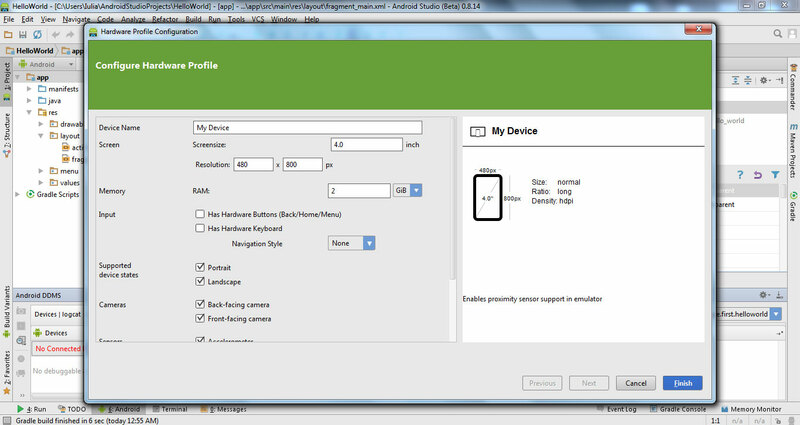 In open window we select our device: My Device and click Next. In next open window we choose API Level: 10 and click Next. 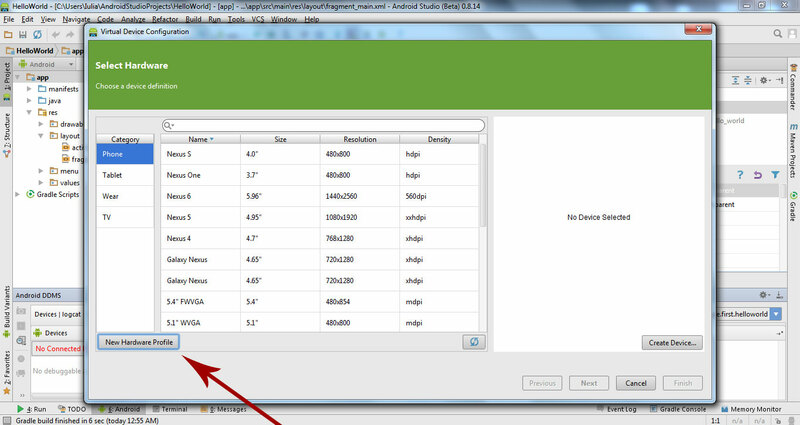 Use the default options for next open window and click Finish. 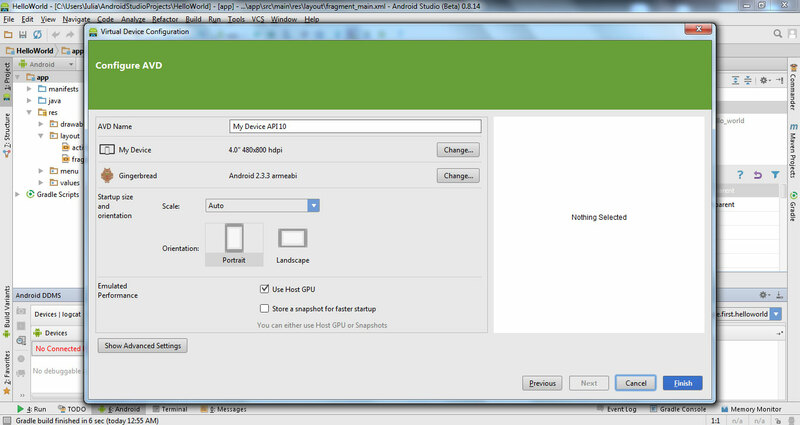 We select our device from next window and click Launch this AVD in the emulator. 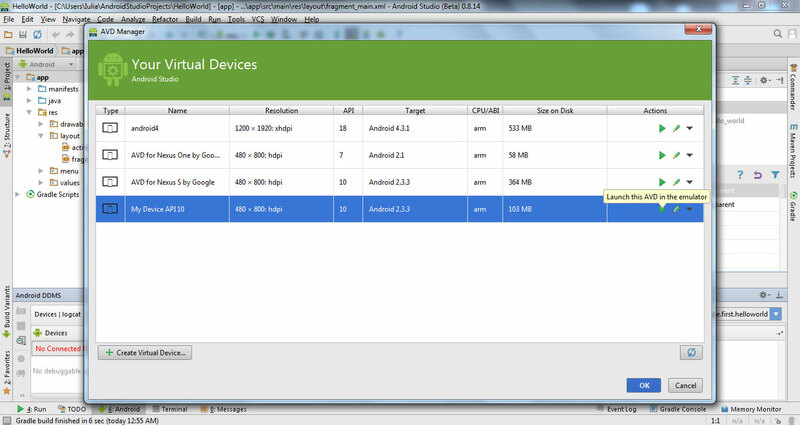 Our emulator (virtual mobile) will open. 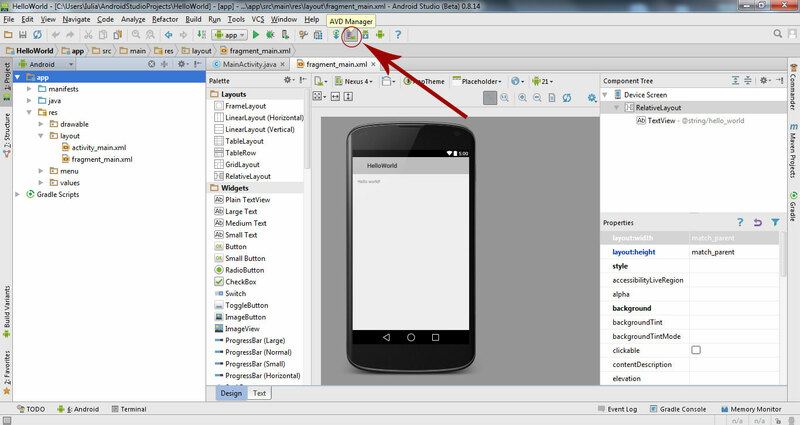 If we want to run our application using our emulator we click on Run ‘app’ icon. Then choose to Launch our emulator and click OK.
Now our app run on emulator created. See in next tutorial how to export your app for installing on mobile devices.